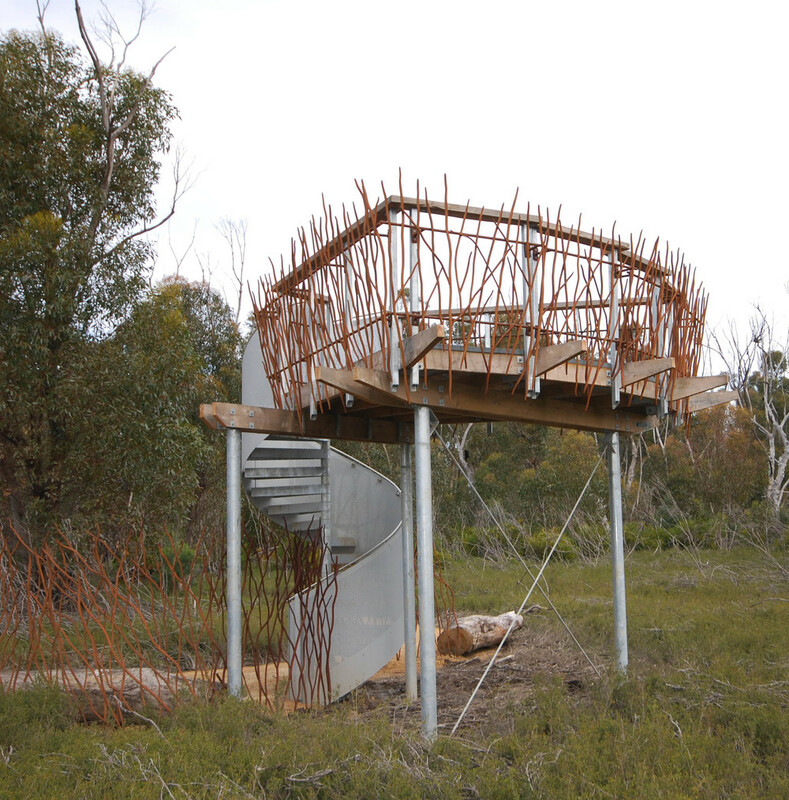 In a series of small structures – viewing platforms, shelter, lookout, siting places, screens and other small interventions – Troppo have worked with DENR to integrate and extend interpretive design themes. All construction material had to be walked in. Structures are designed to be executed without concrete, of durable materials that will age gracefully without maintenance; and respond to public safety demands. Interps and paths are by DENR with David Lancashire Design and Oxigen. Yep, we’ve been inspired by the quizzical platypus!